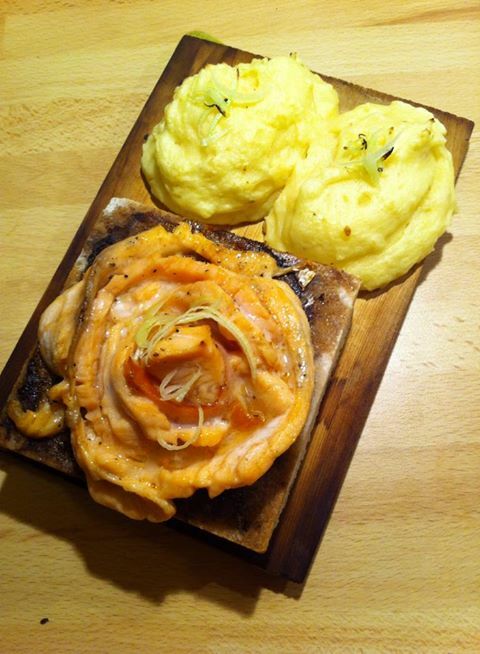 Run cheese, potatoes, butter, egg yolks, cream, salt and pepper to a fluffy puree. Add Salmon Rose on the hot salt stone. Spoon the potatoes on an oak or cedar plank. Set the oven for 2-4 minutes, both fish and mash. Place the stone on the wood. Serve. Where do you purchase the salt stone? Sounds great. I’ll have to look around online. Thanks.